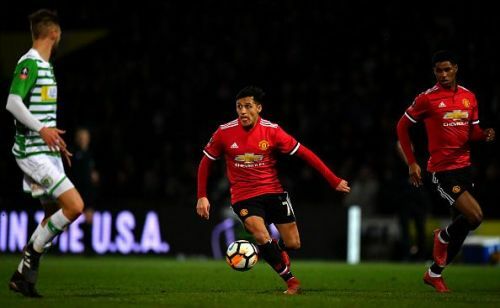 Yeovil Town held their own and then some in the first half before being swamped over by Manchester United's sheer class on the ball and strength in depth. By the end, United were simply too good for the League Two outfit. Here, then, are the key talking points from an entertaining FA Cup affair. This was Jose Mourinho's 100th game in charge of Manchester United - on his 55th birthday, incidentally - while it was also Ander Herrera's 150th game for the club. United won this game the Mourinho way, absorbing a lot of pressure early on - a product as much of Yeovil's intensity as deficiencies from United's end (Matteo Darmian, hello) - before finishing with a flourish as the manager's changes swamped the home side completely. 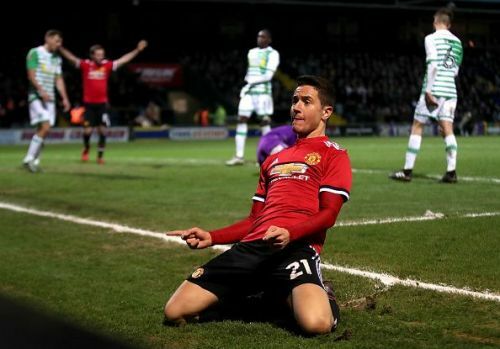 Herrera, meanwhile, bossed the midfield alongside Michael Carrick and Scott McTominay and was his all-action self for the duration; his goal - his second one at Huish Park, after the screamer he scored last time around in Louis van Gaal's last season - a richly deserved reward for his performance.